The USD/JPY went sideways during last Monday and Tuesday, and then began to drop on Wednesday, until the market closed on Friday. There is a Bearish Confirmation Pattern in the 4-hour chart (though the outlook on the market is neutral), which would become strong as price moves further southwards this week. EUR/USD: The EUR/USD rose upwards last week, almost barely closing above the support line at 1.2000. Price may be able to move further upwards this week, reaching resistance lines at 1.2050 and 1.2100. However, the outlook on EUR pairs is bearish for this week, and for this month. Thus, a bearish movement can begin anytime. 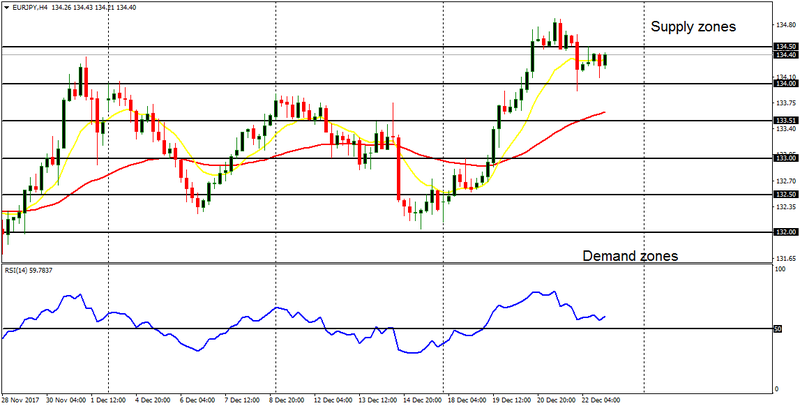 USD/CHF: The USD/CHF dipped by 120 pips last week, closing below the resistance level at 0.9750. Other support levels at 0.9700 and 0.9650 could be tested this week, and they could possibly be exceeded this month because CHF itself would gain some stamina, which may allow other major pairs to go downwards versus it. GBP/USD: This is a short-term bullish market. This pair, which was mostly moving sideways in December, managed to start a bullish movement last week. A close above the accumulation territory at 1.3500 means the sideways phase is temporarily over. The bullish bias would hold out only as long as price is able to stay above the accumulation territory at 1.3450. There would be strong movements on this pair, as well as other GBP pairs, in January, and most of the movements would be bearish. USD/JPY: The USD/JPY went sideways during last Monday and Tuesday, and then began to drop on Wednesday, until the market closed on Friday. There is a Bearish Confirmation Pattern in the 4-hour chart (though the outlook on the market is neutral), which would become strong as price moves further southwards this week. EUR/JPY: This cross managed to go upwards last week, testing the supply zone at 135.50 and closing below it on December 29, 2017. One factor responsible for this is the stamina in EUR itself and further gain of about 100 pips is probable this week. However, there is also risk of a large pullback because the outlook on most JPY pairs is bearish for the week. There is a Bullish Confirmation Pattern on the market. Price went upwards by 170 pips last week, almost managing to close barely above the support line at 1.2000. While there could be further bullish effort this week, it is not may not take price above the resistance line at 1.2100, because the outlook on the market is strongly bearish for this week, and mostly bearish for January as whole. Therefore, the days on the current bullish bias are numbered. This trading instrument was vividly engaged in a bearish movement last week, thus ending the short-term equilibrium phase that occurred around the middle of December. The market dipped by 160 pips last week, closing below the resistance level at 0.9750. 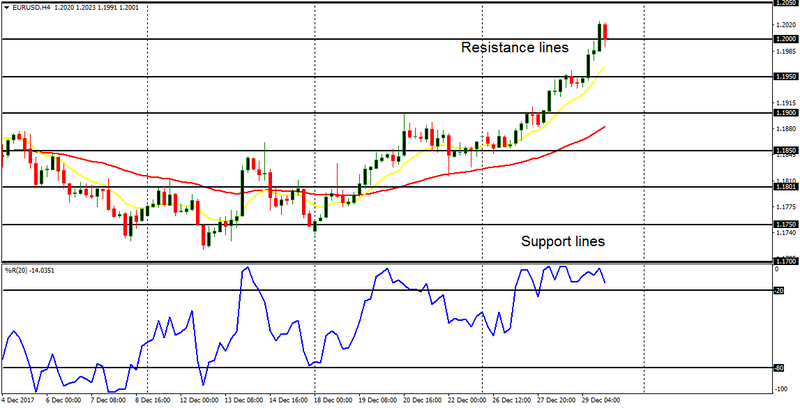 Further bearish movement is expected this week, which could take price towards the support levels at 0.9700 and 0.9650. USD would try to amass some stamina sometimes this week, but that would not make a significant bullish difference (until EURUSD dips), because CHF itself would become strong versus many major currencies this month, and USD included. This pair, which was mostly moving sideways in December, managed to start a bullish movement last week. A close above the accumulation territory at 1.3500 means the sideways phase is temporarily over. The bullish bias would hold out only as long as price is able to stay above the accumulation territory at 1.3450. There would be strong movements on this pair, as well as other GBP pairs, in January, and most of the movements would be bearish. USDJPY is bearish in the short-term, and neutral in the long-term. Price consolidated on Monday and Tuesday, dropped on Wednesday, and maintained the drop till end of the week. This is what has created the short-term bearishness in the market. Since the outlook on JPY pairs is somewhat bearish for this week, it is expected that the bearish movement would continue, thus targeting the demand levels at 112.50 and 112.00. Unlike what USDJPY did, EURJPY managed to go upwards last week, breaching the demand zone at 135.00 and testing the supply zone at 135.50, before closing below it. One factor responsible for this is the stamina on EUR, and there is a possibility that price would be able to go above the supply level at 135.50 (even reaching another supply zone at 136.00 and moving above it as well). However, risk of a large bearish run exists, since the outlook on most JPY pairs is bearish for the week. This cross has been able to sustain the “buy” signal it generated in the middle of December. The upwards movement is slow and gradual, and it may survive as price gains another 100 pips this week. Nonetheless, there is a possibility of a bearish movement starting before the end of the week – or sometimes this month - for GBP could become week. Additional factor is also a possible strengthening of Yen. We’re happy to inform you that visitors to our website can now chat with us directly online. This is another step in trying to serve you better. But most importantly, to get the best and the most straightforward answers, you’ve to reach us through Skype, Imo, WhatsApp, phone and email. You can check all these contact details on our webisite. Microsaic shares (LSE:MSYS) could now be rated a “buy” as a result of the recent great bullish breakout, which should continue for several months. The market consolidated to the downside between July and October 2017, and then went flat from October until December, when it had a major breakout, going northwards wildly. Price has now become very volatile as bears are fighting desperately to bring it down. However, the upwards journey is expected to continue. Price is above the EMA 21 (a buy signal), and the Williams’ % Range period 20 is around the level 40, meaning the bullish momentum in the market is strong. Legendary Investments stock (LSE:LEG) seems to have come out of rough waters (choppy, unpredictable market conditions), as it assumes a bullish bias. The ADX period 14 is rising above the level 20, meaning that the momentum may be rising. The DM+ is above the DM-, showing the bullish strength. The MACD default parameters, has its histogram above the zero line (plus the signal lines are going upwards too, soon to cross the zero line to the upside). When these conditions are all met, the bias on the market would turn bullish, leading to a Bullish Confirmation Pattern in the market. Legendary Investments is expected to sustain the current bullish breakout in the recently choppy market, and that would later bring about a clean bullish signal. The USD/CHF did not make any significant movement last week, neither is it expected to make any significant movement this week (because volatility would thin out). Price is thus expected to oscillate between the resistance level at 0.9950 and support level at 0.9800 within the next several trading days. However, a breakout will occur early January. EUR/USD: This pair went upwards last week, from the support line at 1.1750, towards the resistance line at 1.1900. That was a movement of about 150 pips. However, price began to retrace downwards from Thursday, but it has not gone low enough to jeopardize the current bullish bias. 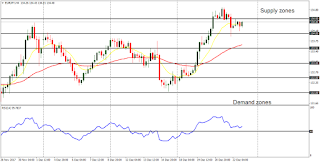 USD/CHF: The USD/CHF did not make any significant movement last week, neither is it expected to make any significant movement this week (because volatility would thin out). Price is thus expected to oscillate between the resistance levels at 0.9950 and support level at 0.9800 within the next several trading days. However, a breakout will occur early January. GBP/USD: The GBP/USD did not make any significant movement last week, neither is it expected to make any significant movement this week (because volatility would thin out). 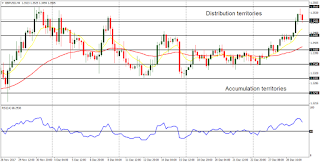 Price is thus expected to oscillate between the accumulation territory at 1.3250 and the distribution territory at 1.3500 within the next several trading days. However, a breakout will occur early January. USD/JPY: This market rallied massively last week, just like its EUR/JPY counterpart. The pair gained 150 pips last week, testing the supply zone at 113.50, and then closing below it on Friday. The bullishness in the market could be sustained until the end of this year (although it is unlikely that a strong movement would be witnessed). 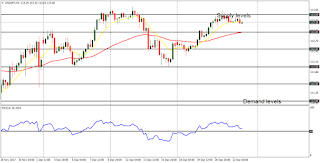 EUR/JPY: This market rallied massively last week, gaining 240 pips, moving briefly above the supply level at 134.50 and then closing below it on Friday. The bullishness in the market could be sustained until the end of this year. This pair is bullish in the short-term, but neutral in the long-term. Price rose from the support line at 1.1750 and tested the resistance line at 1.1900 (a movement of 150 pips). However, price closed below the resistance line on Friday. Bulls might still be able to sustain the short-term bullishness in the market, till the end of the year. The support line at 1.1750 would resist a bearish bias from forming this week. This trading instrument did not make any significant movement last week, neither is it expected to make any significant movement this week (because volatility would thin out). Price is thus expected to oscillate between the resistance level at 0.9950 and support level at 0.9800 within the next several trading days. However, a breakout will occur early January, which would result in a directional bias, ending this current neutrality in the market. The GBPUSD consolidated throughout last week, forming no directional movement. 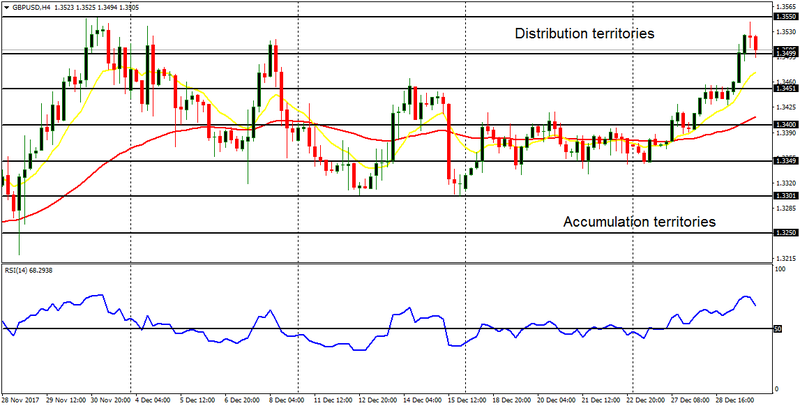 The price has generally swung between the distribution territory at 1.3450 and the accumulation territory at 1.3300. Generally the current neutrality will exist as long as price swings between the distribution territory at 1.3500 and the accumulation territory at 1.3250. Such is the condition that will exist for the rest of this year. There is a short-term bullish bias on the USDJPY, but it is not strong. Price gained 100 pips last week, from the demand level at 112.50 to the supply level at 113.50. After the supply level at 113.50 was tested, price retraced towards the southwards, but that is not a threat to current short-term bias. This week, a big price swing is not expected unless an unexpected fundamental figure comes out from the blue. There is a Bullish Confirmation Pattern in the market. Here, price rose up more than 200 pips (from the demand zone at 132.50 to the supply zone at 134.50). The supply zone at 134.50 was briefly surmounted before price went below it on December 22. The bullish bias is anticipated to hold out for the rest of the year, in spite of any bearish attempts along the way. The demand zones at 133.50, 133.00 and 132.50 would impede bearish pulls in the market. 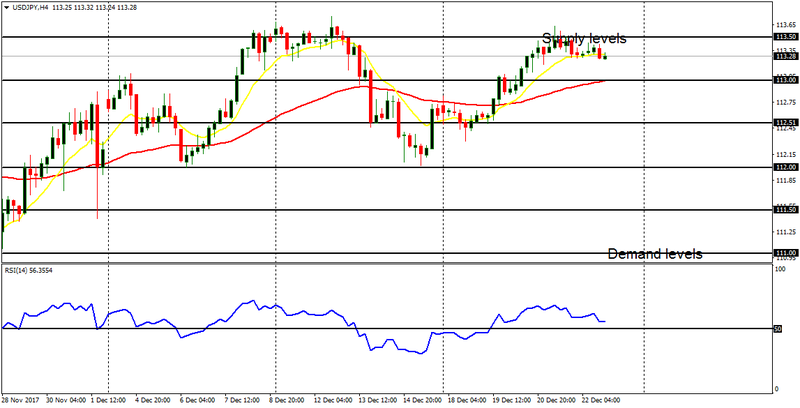 The GBPJPY cross rose upwards last week, and then started to consolidate on Thursday (till the end of the week). Further sideways movement in the market, especially for a few more trading days, would result in a neutral bias. A movement to the upside (towards the supply zone at 152.50) would help strengthen the current bullish bias; and a strong movement to the downside (towards the demand zone at 149.50) would erase the bullish bias. 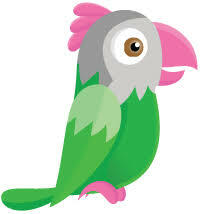 We’ve decided to offer a bonanza for our customers (buyers). When you buy any amount between $20 – $99, you get N370/$. When you buy any amount between $100 - $999, you get N360/$. When you buy any amount from $1,000 above, you get N355/$. While some exchangers are selling Neteller at N400/$ or N430/$, you can get it for as low as N355/$ (if you buy $1000). You can’t get this offer anywhere else! You can buy low and sell at a slightly higher price to others, thus making money. You can buy at N355 and sell at N375 and make money. You can also buy now at a low price, for future use. If you postpone buying till some later date, you’ll inevitably buy at a very high price. After January 5, 2018, we’ll raise our prices to previous levels. Louise Bedford and I have just wrapped up about a month of travelling to different states and presenting, which is something we haven’t done for probably 15 years. It was an interesting adventure and good to get out from behind the screen and talk to people. When I go anywhere I try and be a keen observer of people. It is amazing what you can learn simply by listening and watching and the one thing I learnt this time rather surprised me. Success in any endevour has a few trials that it places in your way and if you conquer this trial then there will inevitably be another one. Life is in many ways a little bit like the 12 labours of Hercules – there is always something else. As you would expect trading also has these hurdles, some are huge but most are trivial and the thing that interested me most in my current journeys was that people fell at the first hurdle. The first hurdle for many people is actually getting off their own arses. Let me explain by reference to my own evolution as a trader. Step 1 – Decide I want a different life. Step 2 – Get off my arse and decide what form this will take. Step 3 – Learn about equities trading by once again getting off my arse and going down the the ASX. Step 4 – Repeat Step 3 repeatedly whilst I devour everything their education department has to offer. Step 5 – Open an account with a broker – how did I do this?…….I rang them up and asked (this also involved getting off my arse). Step 6 – Make a trade – how did I do this?…… I rang them up and asked. Step 7 – Get trade wrong (my trade, my mistake, my fault). Step 8 – Repeat Steps 6 and 7 repeatedly. Step 9 – Learn technical analysis – how did I do this?…..I found a book and read it. 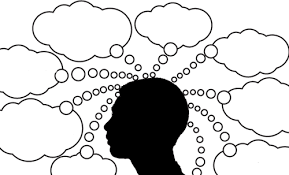 Step 10 – Place another trade – make a slightly smaller mistake….repeat ad infinitum. Step 11 – Begin using computerised technical analysis. How did I learn this?…..I bought a PC and a charting package and spent countless evenings and days playing with it. Step 12 – Start trading derivatives and make lots of mistakes. Whilst this is a little flippant there are two central themes, I made a vast number of mistakes and everything I did came about from my own sense of discovery and getting off my own arse. When travelling and in subsequent emails I have been surprised at the number of people who cannot begin to trade because no one will sit down beside them and show them how to place an order or how to find information on their brokers website. When I suggest that they look at the copious and detailed instructions brokers offer all of which is in glorious multimedia they are somewhat taken aback that someone should suggest this, as if the magic do everything for you fairy should sit down beside them and do it for them. As my father used to say in his more eloquent moments…do you want me to come and wipe your arse for your as well? One of the hallmarks of people who are successful is that they have a sense of internal direction, this internal rhythm keeps them moving forward and it is powered by their own sense of achievement. My failures are my own but so too are my successes because I seek out new things and learn new things without constantly being prodded forwarded. My hypothesis about this sort of thing is that some people have been in the employee mindset for so long that they can no longer take action for themselves and to suggest that they should overloads their brain. This I can excuse because it is a powerful form of social conditioning and it is hard to break. Lazy bastards I have no time for. WHERE ARE YOU… my brilliant trader within? I move through the trading world with confidence. I will walk my path with audacity. I am in awe of the future that I have ensured for my family. I am judged, and misunderstood. Yet, I stand strong. I am battered by my losses, but I rise above. The world is missing what I am designed to give. I am one with the markets, and my light illuminates my most precious goals. I am black. I am white. I am old. I am young. I fight procrastination and lack of clarity. I harness my anger and transform. My power is limitless and I’ve caught a glimpse of my potential. I emerge from my stifling cocoon of work and labour. Today I unite with my fellow traders, my supporters, my Mentors.